IWCE’s Young Professionals Awards Ceremony today recognized young professionals who have made a significant contribution in his or her company/industry. These individuals are executing some of our industry’s most innovative ideas, showing creativity and initiative. Winners were recognized at this special ceremony at IWCE 2017. They will also be featured on IWCE’s website and in IWCE’s Urgent Communications. 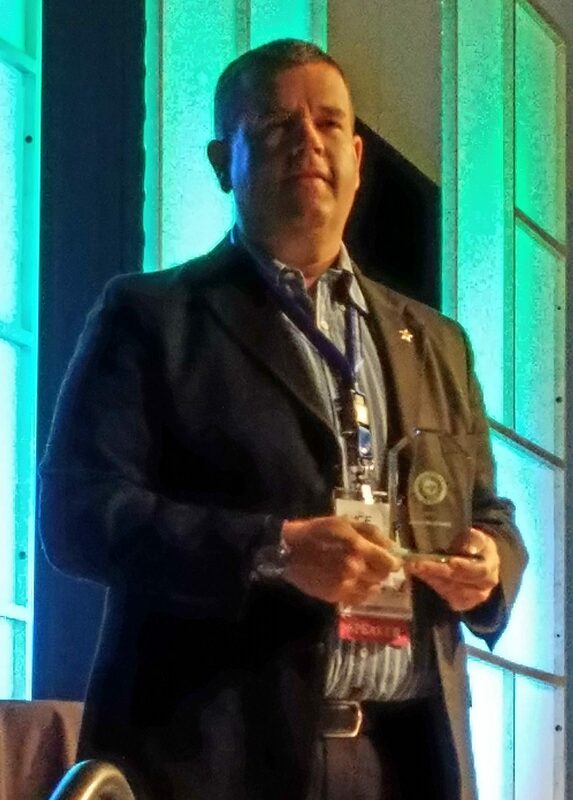 Congratulations to Jason Matthews,Vice Chair, Interoperability Committee, and Emergency Management Bureau Sergeant, Lake County Sheriff, FL, is one of the award recipients. Chief McEwen served on the Steering Committee of the Public Safety Wireless Advisory Committee (PSWAC) and as a member of the Steering Committee of the FCC Public Safety National Coordinating Committee (NCC). In November 2000, the International Association of Chiefs of Police, at their Annual Conference in San Diego honored Chief McEwen by presenting him with the first IACP Lone Star Distinguished Award in recognition of his exemplary service to the IACP for over 22 years as Chairman of the IACP Communications & Technology Committee. He is a Life Member and Honorary President of the International Association of Chiefs of Police. He is also a Life Member of the New York State Association of Chiefs of Police, the Association of Public-Safety Communications Officials-International (APCO), and the National Sheriffs’ Association. He is a Fellow in the Radio Club of America (RCA) and in 2006 was honored by being named the first recipient of the RCA/NPSTC Richard DeMello Award for his many contributions to public safety communications. In 2007, Chief McEwen was elected Chairman of the Public Safety Spectrum Trust (PSST), a not-for-profit corporation consisting of representatives of fifteen national public safety organizations who began the effort to obtain the 700 MHz Public Safety Broadband License (PSBL) for public safety which is now held by FirstNet. Chief McEwen is currently the Chairman of the Public Safety Advisory Committee of FirstNet. March 29, 2017–Several advocates of next-generation 911 service today urged Congress to provide funding for the adoption of such services by states and localities overseeing the 6,800 public safety answering points (PSAPs) in the U.S., but also indicated that the price tag for such an adoption effort remains unclear. March 29, 2017–LAS VEGAS – Former public safety officials stressed the need for the public safety community to advocate for next-generation 911 (NG-911) deployment as it did for the creation of a nationwide public safety broadband network, which led to the establishment of the First Responder Network Authority (FirstNet). 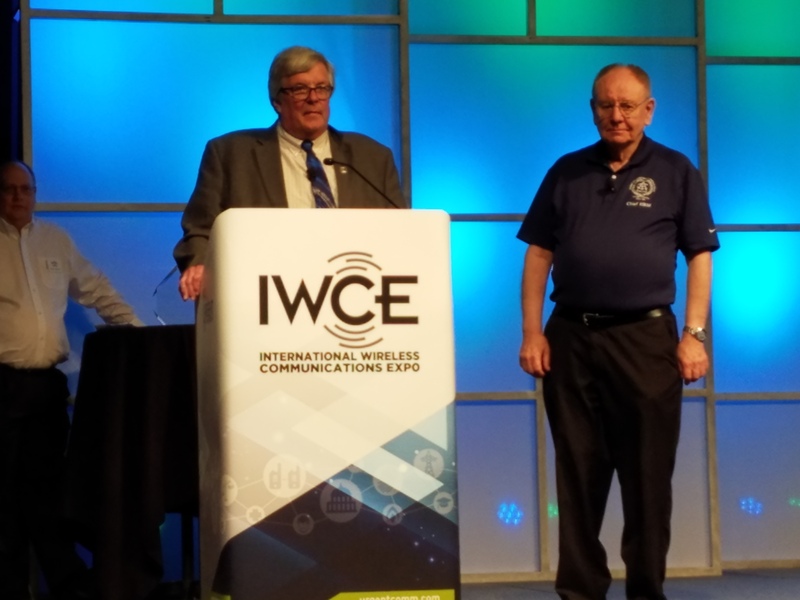 During a session here yesterday afternoon at the IWCE show, two speakers who once ran large 911 centers and were key players in lobbying for legislation that authorized FirstNet, Chuck Dowd, former assistant chief of the New York Police Department, and Chris Moore, former chief of the San Jose Police Department, stressed the importance of 911 in responding to emergencies. “It’s deserving of attention and money,” said Mr. Moore, the former chairman of the Public Safety Alliance (PSA), the organization that successfully lobbied for the reallocation of the 700 megahertz band D-block and the reservation of $7 billion in funding. “I do think it’s time.” Mr. Moore is now senior vice president of Rivada Networks LLC, which unsuccessfully led a consortium to bid for the FirstNet contract. March 29, 2017–LAS VEGAS – Officials today emphasized that states hoping to build their own radio access networks (RANs) rather than having the First Responder Network Authority’s (FirstNet) partner do so will face hurdles in getting authorization from the federal government. At a session at the IWCE show here, representatives from FirstNet, the National Telecommunications and Information Administration, and the FCC detailed the steps that states must take to pursue alternative FirstNet plans, and the FirstNet and NTIA officials repeatedly said getting the plans blessed won’t be easy.